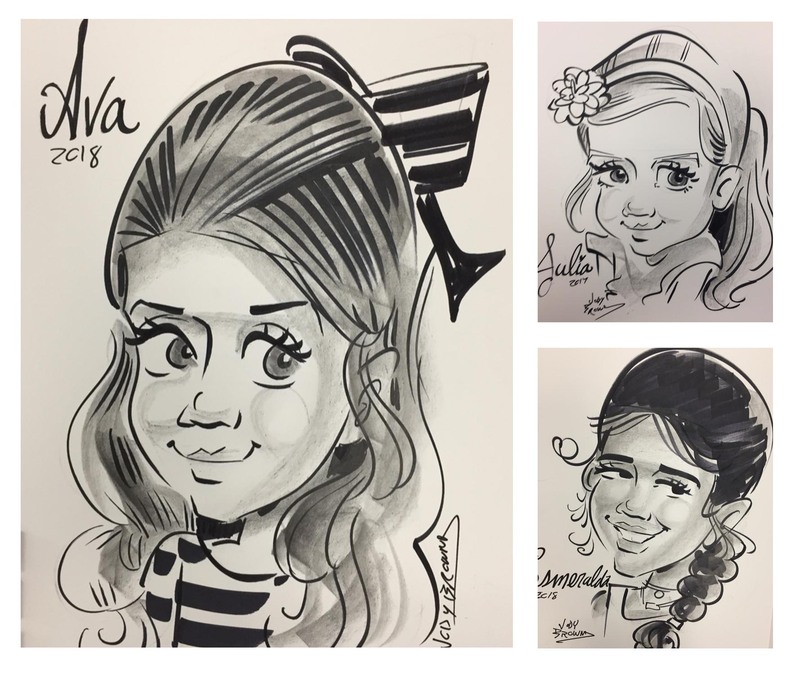 Classy Caricatures are Jody's specialty when it comes to drawing children. Your kids will be amazed and delighted to be drawn by "A REAL ARTIST"! Oooooh, Ahhhh! Seriously, Jody draws the most amazing caricatures of kids anywhere. 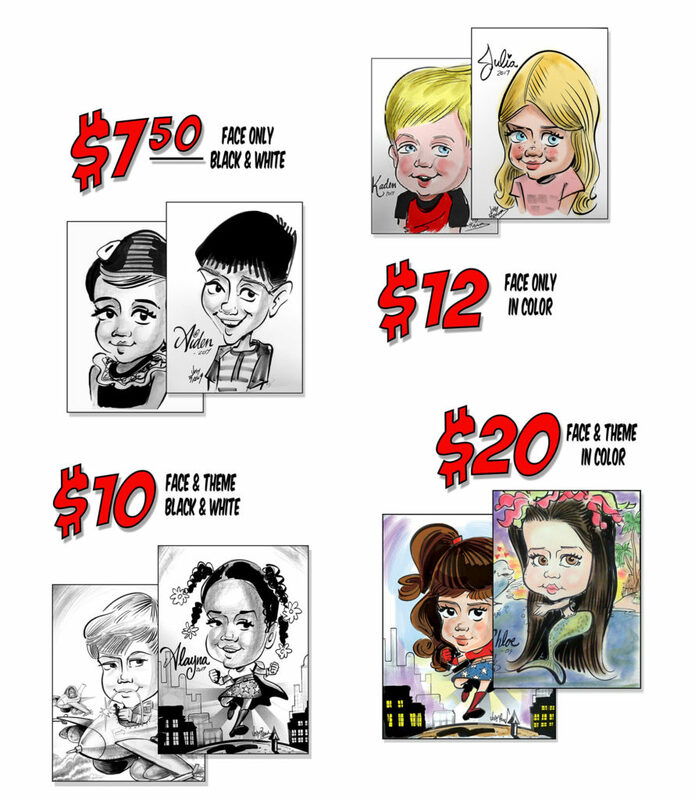 Jody has been doing this for over 34 years and has mastered the art of children's caricatures. You'll not find a better choice! 5 reasons to book Jody: 1st, Affordability! Because you book us directly, we are able to keep the costs very low. Starting out at only $7.50 per caricature. 2nd Jody is fast, fast, fast! For you that means easy, easy easy! 3rd, Addorable, Preciouse, and Cute! You'll love it, the kids will love it, and the parents will LOVE IT!!! How can you not do this!!! 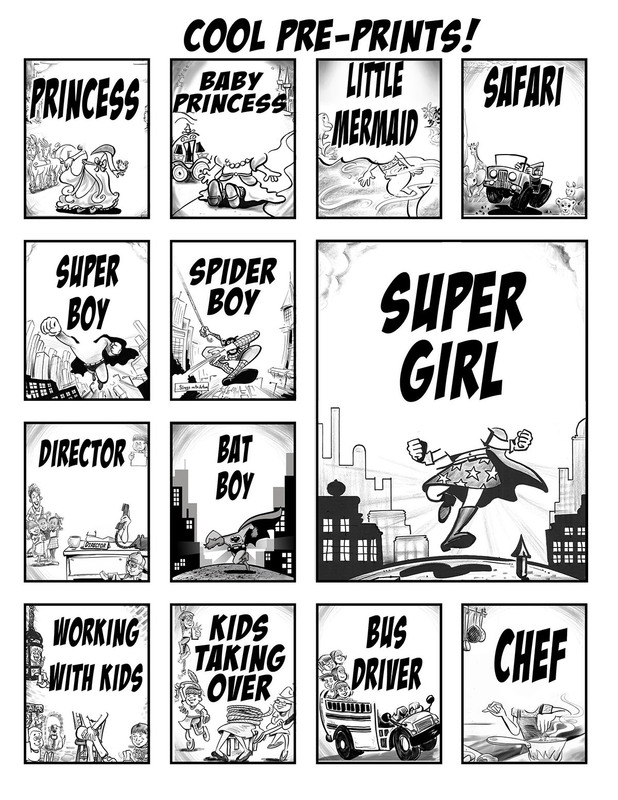 We have many choices to choose from. We have over 50 Themes to choose from. 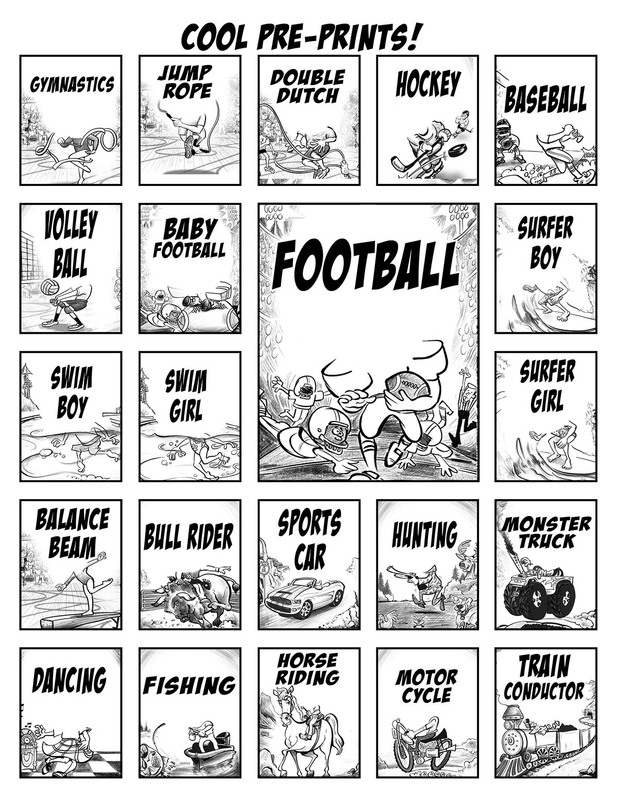 These have proven to be very popular with the kids and parents! If you would like us to come to your school or center, just contact us! We look forward to hearing from you.